Comfortable, punctual, and convenient, the bus from Puerto Natales to El Calafate is a great choice for travelers of all budgets to cross the Chile-Argentina border. 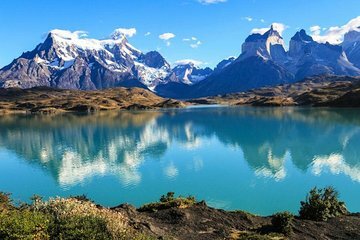 Hop between national parks without skipping a beat—an early-morning departure means you arrive in El Calafate in time to enjoy some daylight hours at Los Glaciares National Park. Just bring your passport for an easy border crossing.